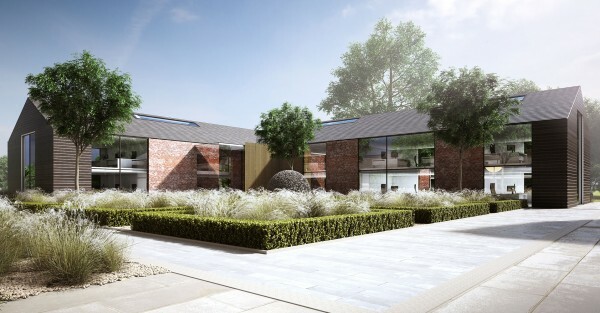 The landscape design for this new office development in Cheshire aims to connect the building with its rural setting and to create a peaceful and intimate setting for its users. 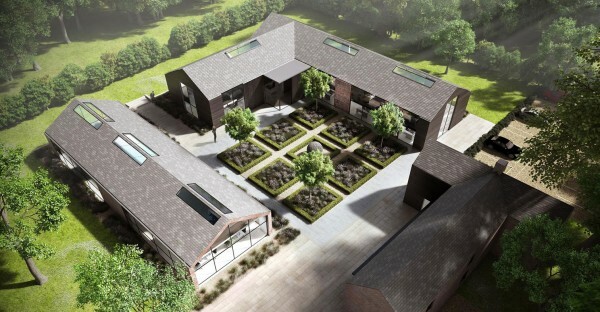 At the heart of the development is a central courtyard with formal planting beds containing soft blends of perennials and grasses. A formal pool creates a focal point and bespoke stone artwork benches offer places to meet and sit. 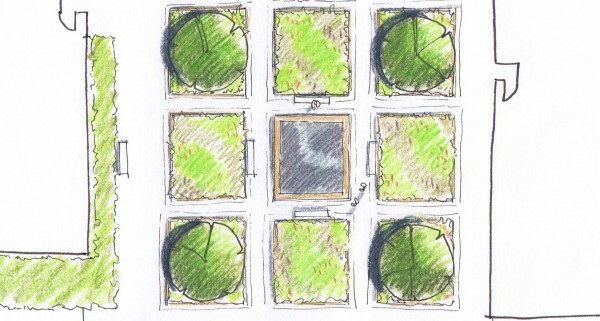 Striking ornamental grass planting around the buildings echoes the surrounding countryside, while a meadow with mown paths visually links to the borrowed landscape beyond. CW Studio designed this up to the planning stage. 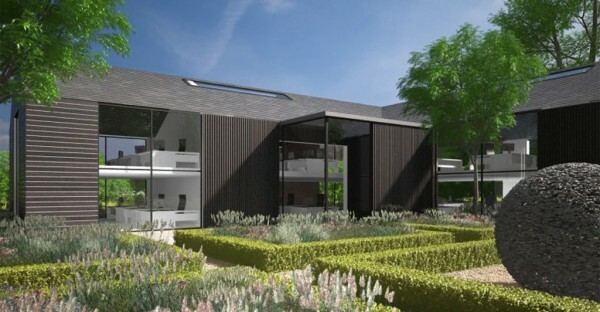 Planning permission was granted in 2014.